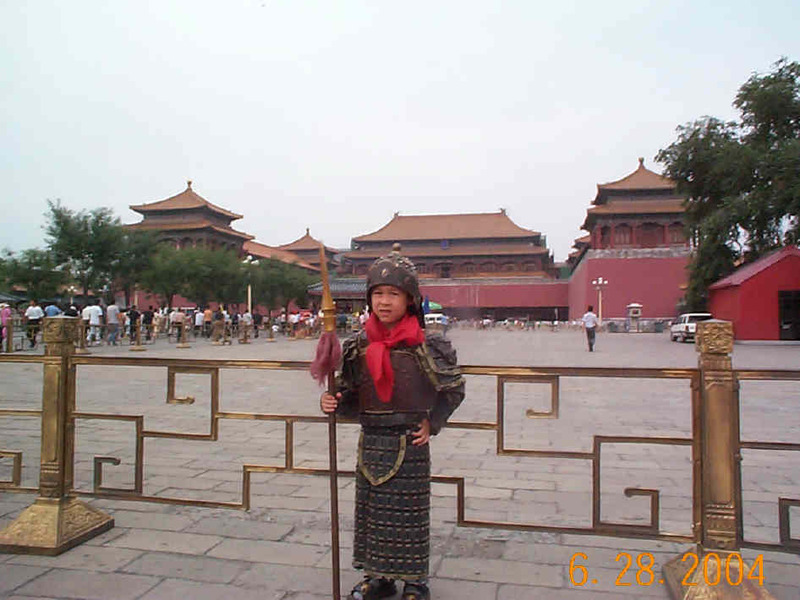 Dr. Youyu Phillips : ChinaPhotos! 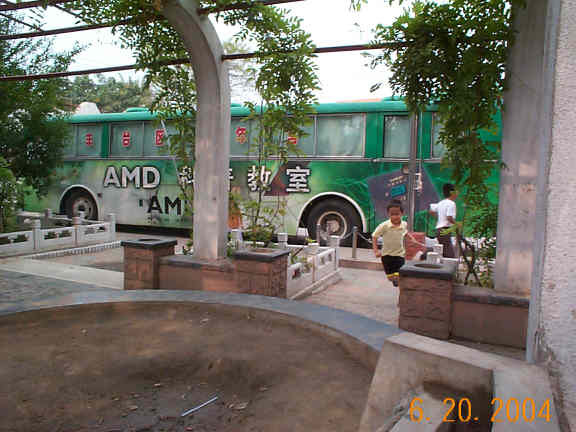 Here are some photos taken in China in Summer 2004. 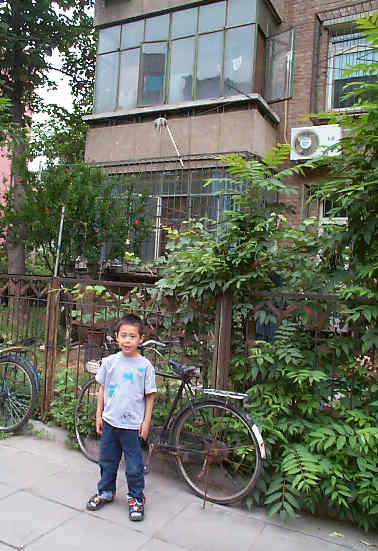 Roy (my son) outside of the apartment of my friend, Professor XiYing Hong (resided in Canada). 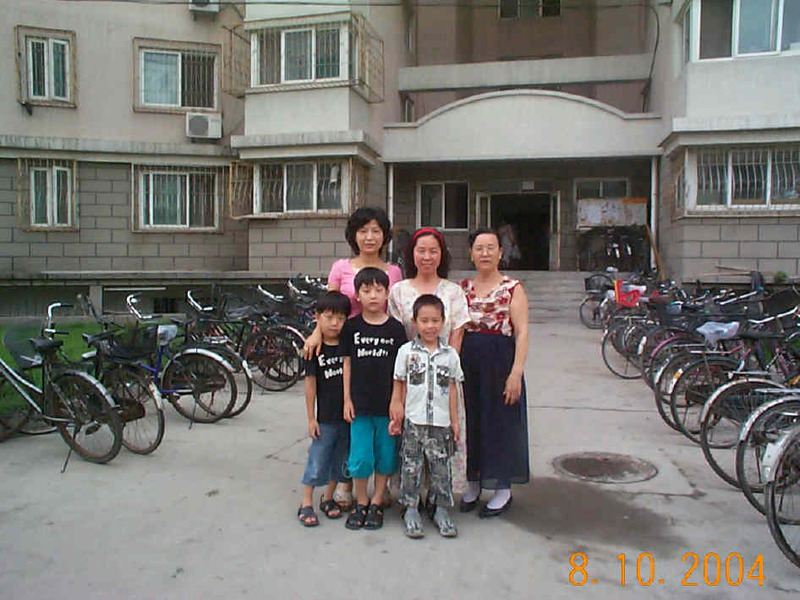 We stayed in her apartment (on the 2nd floor) between June 16 and August 12 at Beijing Forestry University. 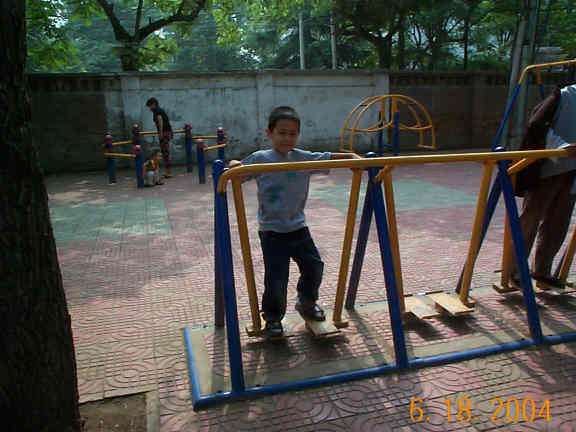 Roy at the exercise ground at Beijing Forestry University on June 18. 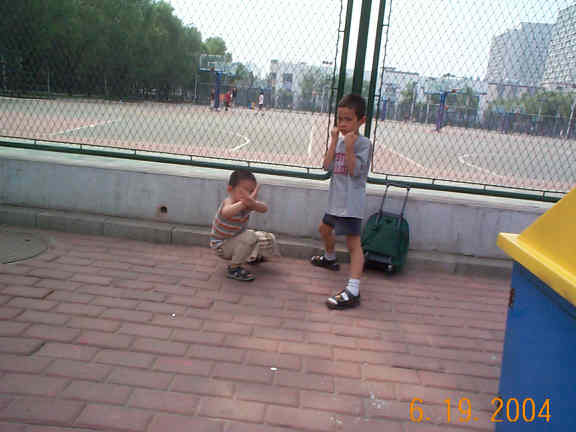 Roy and his Chinese friend, Sun Wei in Beijing Forestry University. 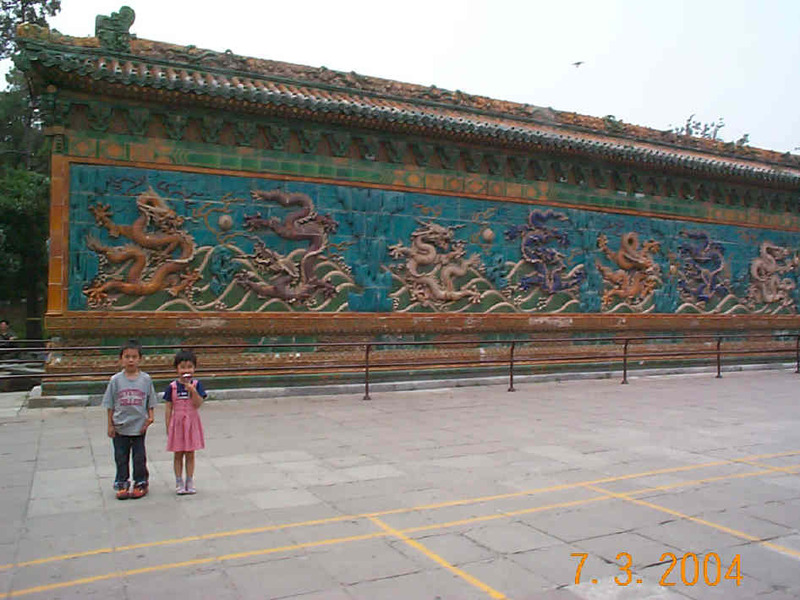 Roy, WaWa and WaWa's mother in Beijing. 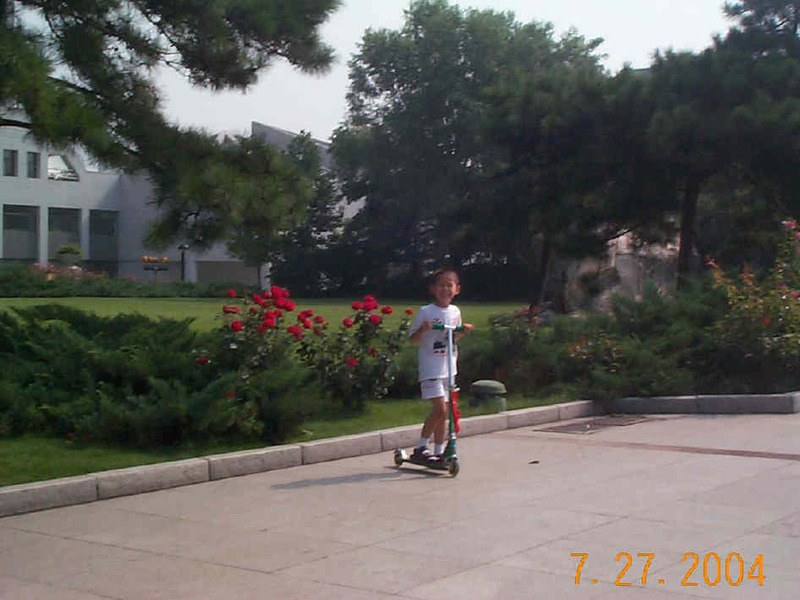 Roy outside of Beijing FengTai Children's Palace. 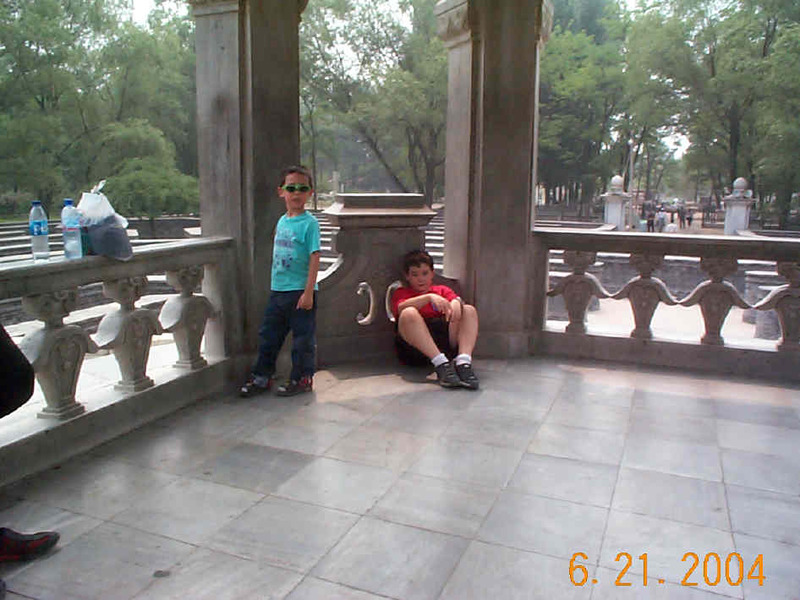 Roy and his American friend Dylan at the old Summer Palace in Beijing. 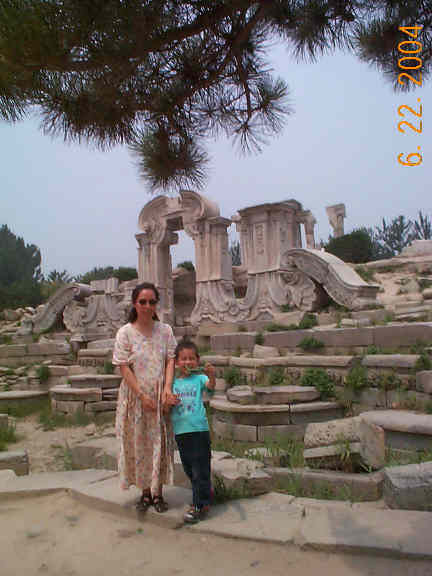 Roy and I at the old Summer Palace in Beijing. Roy and his American friend Clay at Clay's home in Beijing. 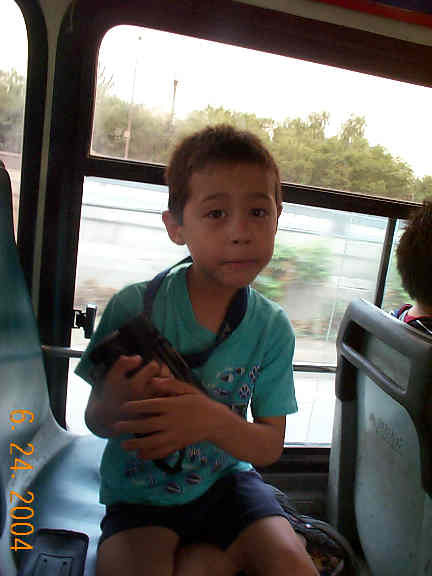 Roy on the bus in Beijing. 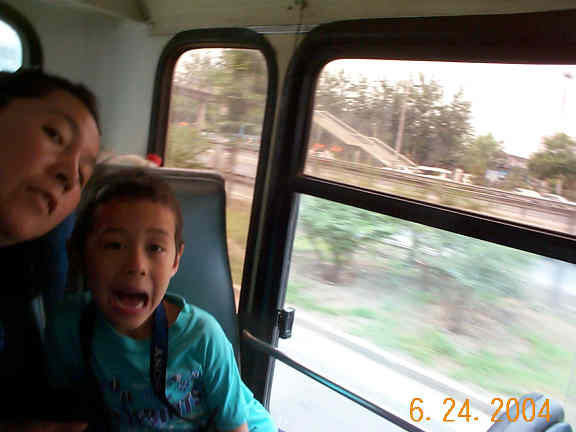 Roy and I on the bus in Beijing. 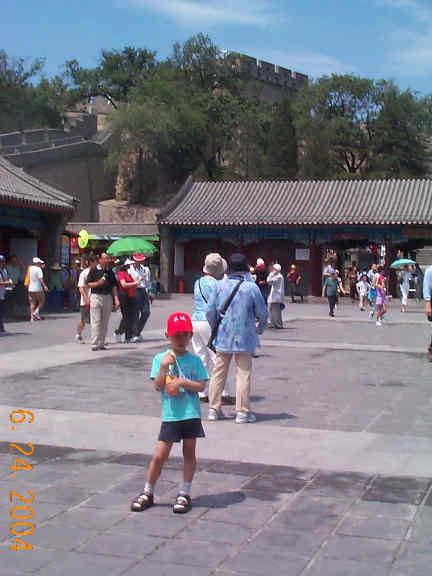 Roy at Beijing Great Wall. 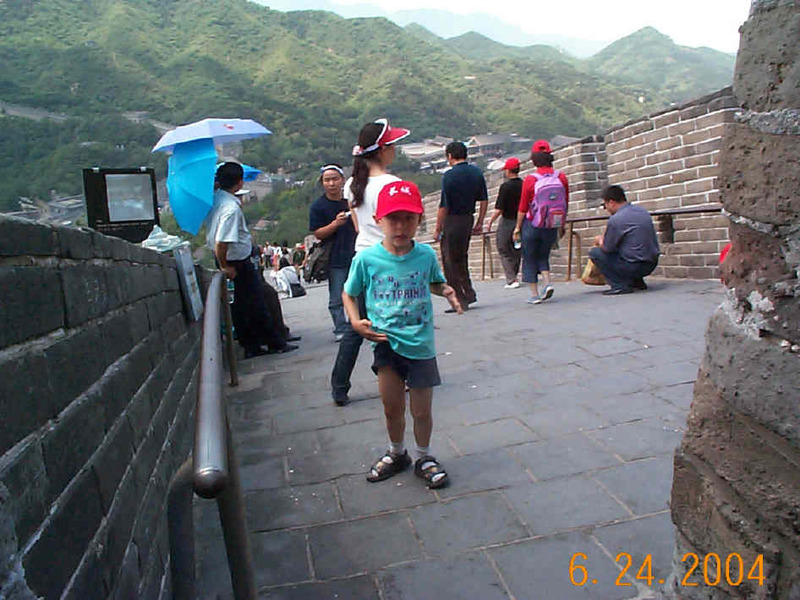 Roy at Beijing Great Wall on June 24. Roy at the Great Wall in Beijing. 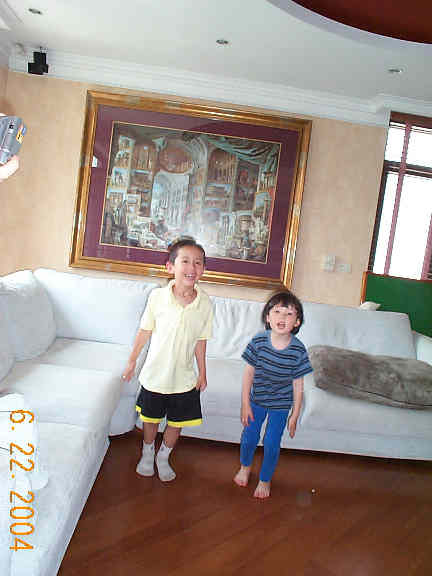 Roy and Jack (classmate at Lee-Ming Chinese School, Blue, Bell, PA, USA) at Jack's home in Beijing. 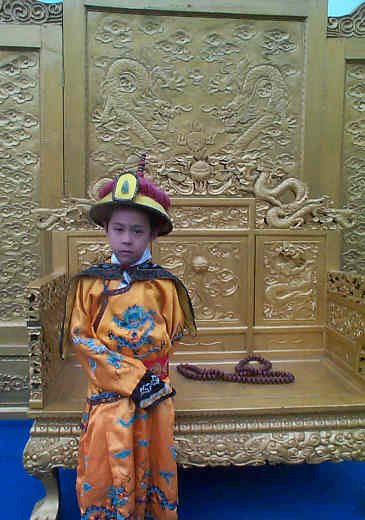 Roy dressed as an emperor ouside the Forbidden City on June 28. Roy dressed as an emperor. 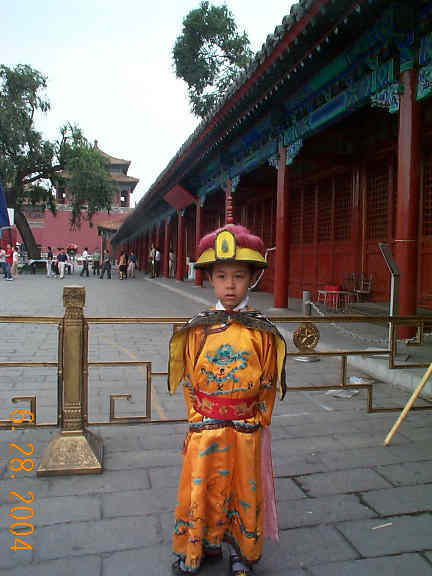 Roy dressed as an emperor ouside the Forbidden City. 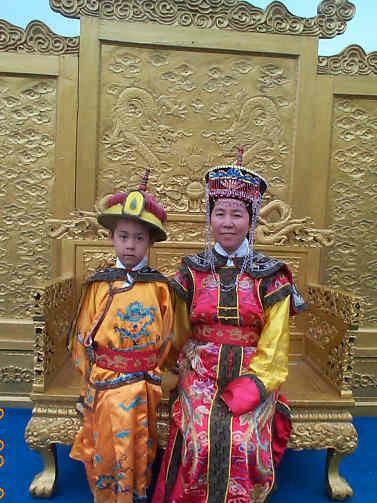 Roy dressed as an emperor and I dressed as the emperor's Mom on June 28 outside the Forbidden City in Beijing. 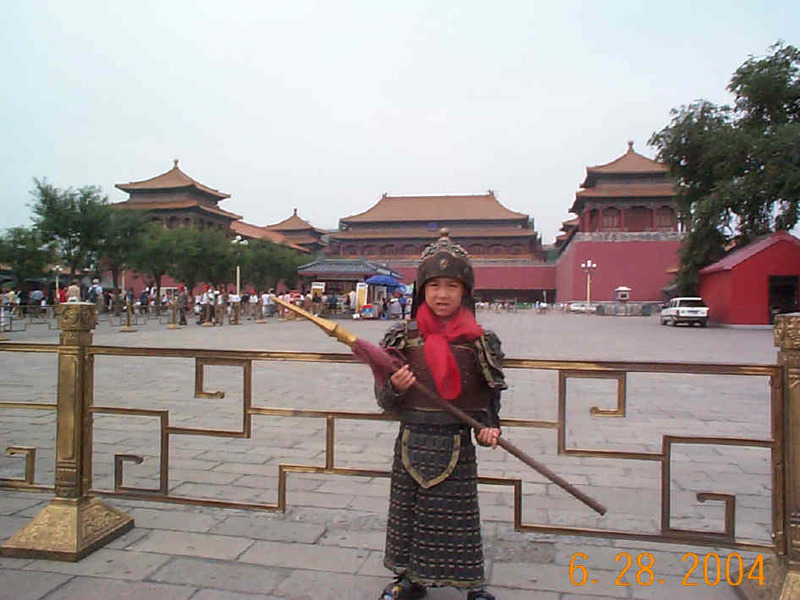 Roy dressed as the guard for the emperor's Palace outside the Forbidden City in Beijing. 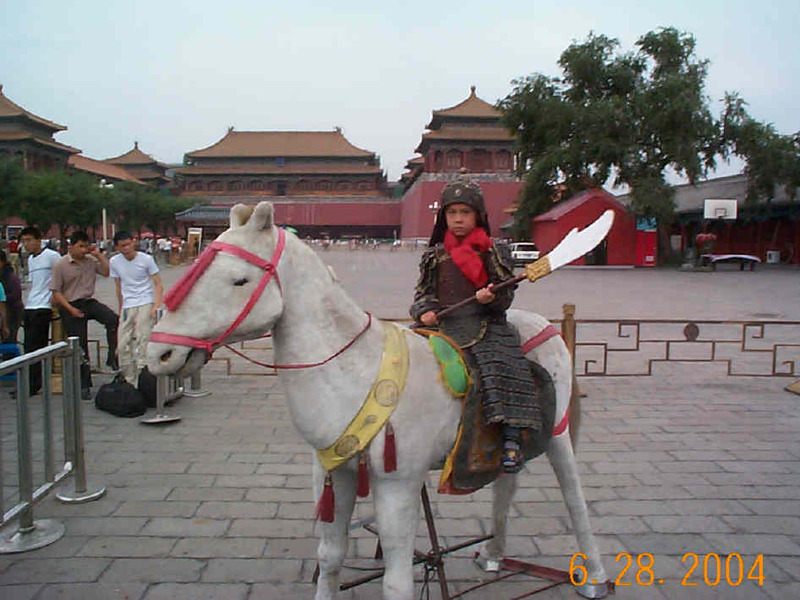 Roy dressed as the guard for the emperor's Palace outside the Forbidden City in Beijing on June 28. 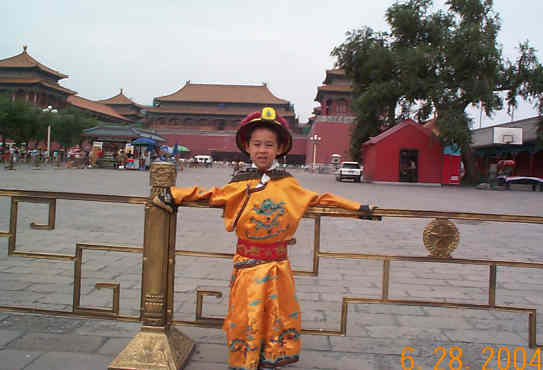 Roy dressed as the emperor's guard outside the Forbidden City in Beijing on June 28. 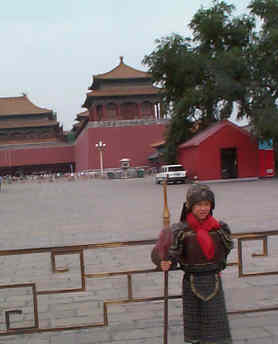 Roy dressed as the emperor's guard outside the Forbidden City in Beijing. 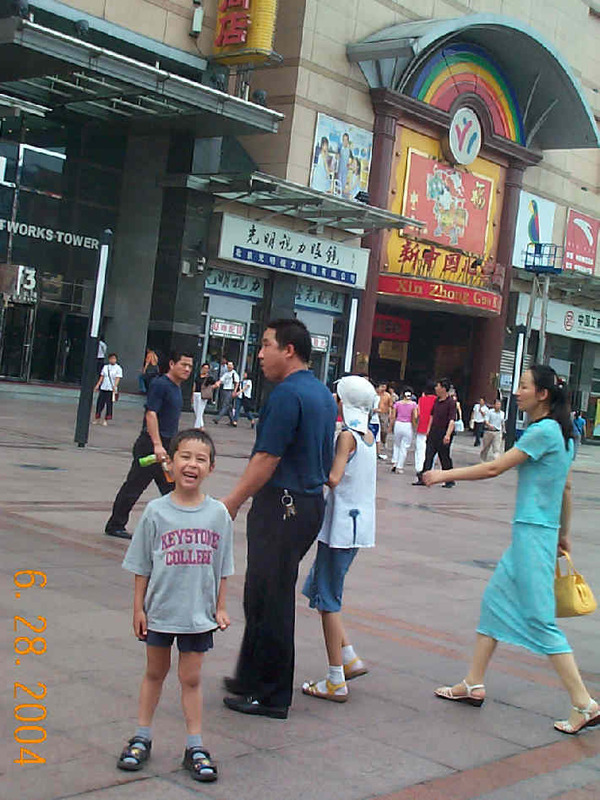 Roy at Beijing Shopping District - Wang Fu Jing. 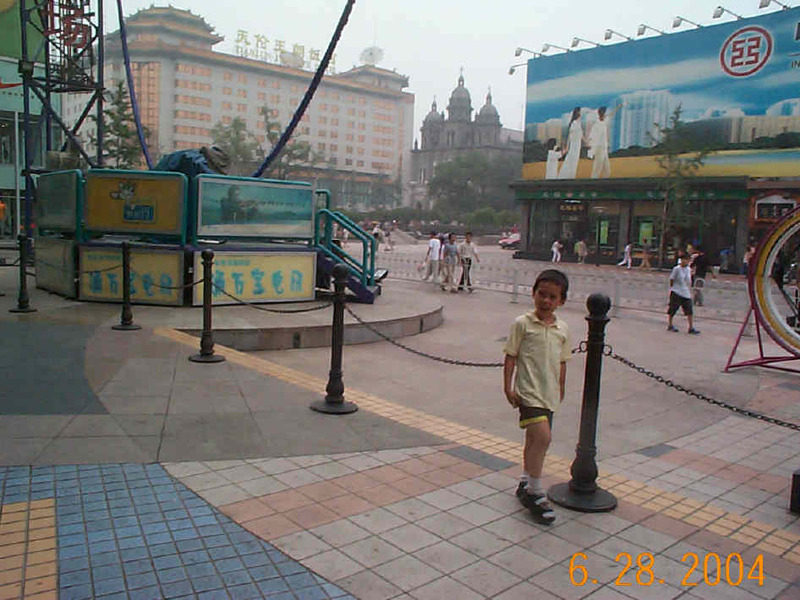 Roy at Beijing Shopping District - Wang Fu Jing on June 28. 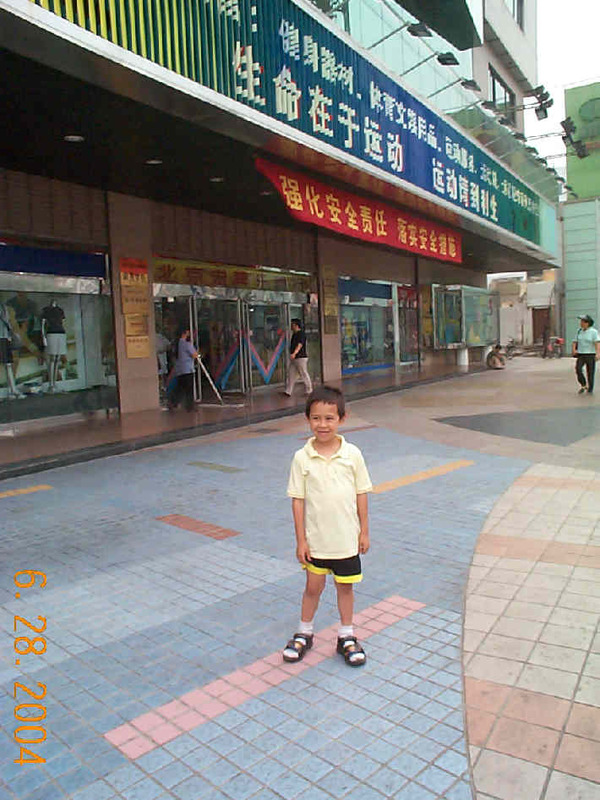 Roy at Beijing Shopping District - Wang Fu Jing outside the New China Children's Department Store. 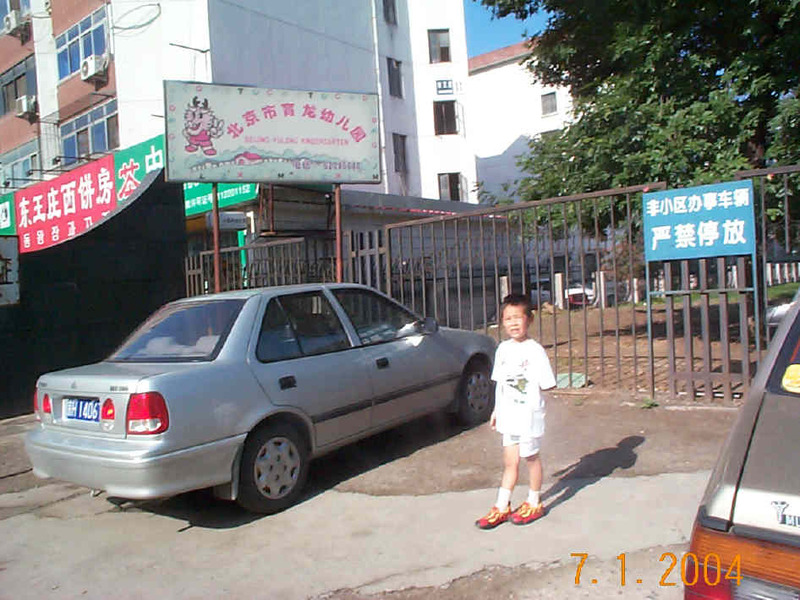 Roy attended Beijing YuLong Kindergarten between July 1 and July 24. Roy, Duck, Sun XinYuan, Yang MuHan, etc. 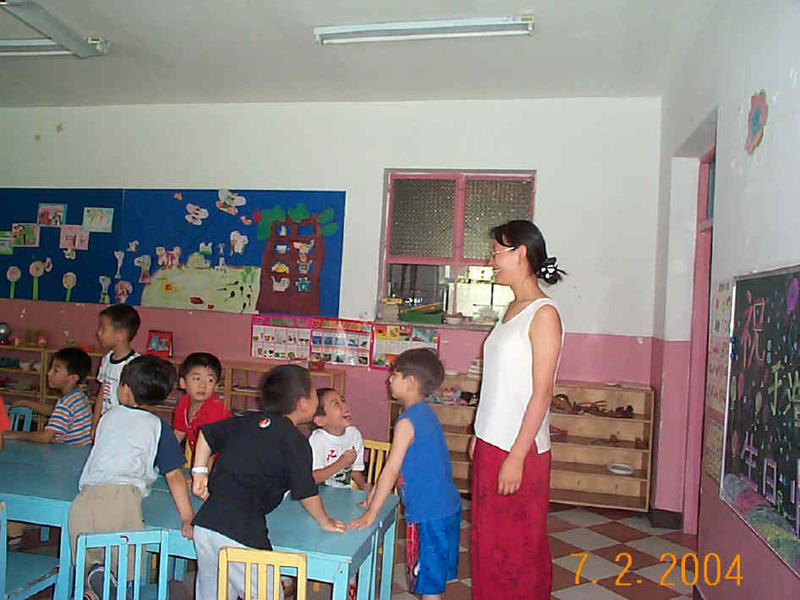 followed Teacher Bian to practice flag exercises at Beijing YuLong Kindergarten on July 1. Roy, Duck, Yang MuHan, Li MingRan, Liu YiYi, Qu XiuQuan, etc. 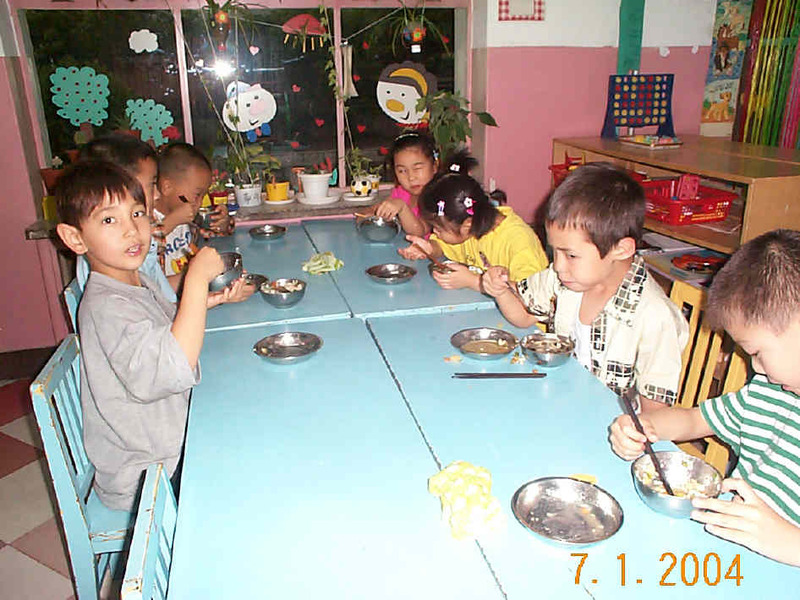 ate lunch at Beijing YuLong Kindergarten. 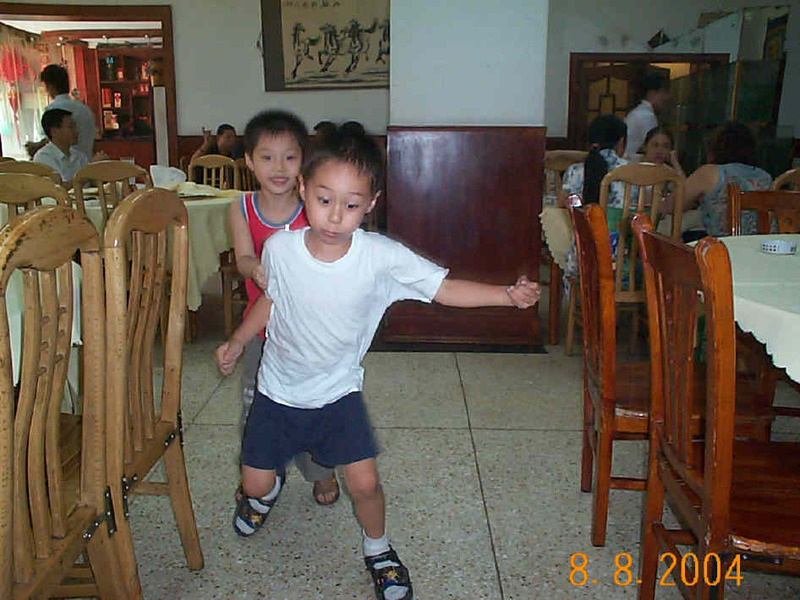 Roy learned how to use chopsticks at that time on July 1. 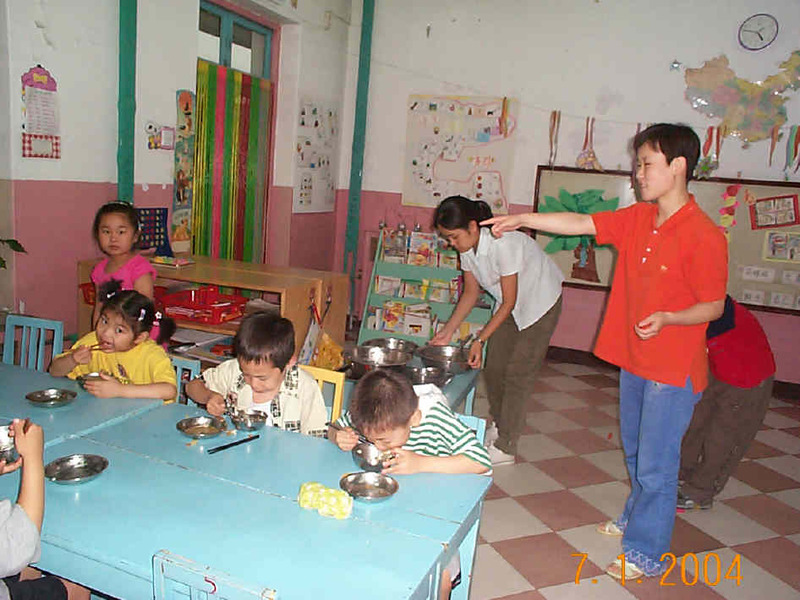 Roy, Duck, Yang MuHan, Li MingRan, and Liu YiYi ate lunch at Beijing YuLong Kindergarten under the supervision of Teacher Fan and Teacher Wang. Roy, PiPi, Li MingRan, Qian ZhiKun, Yang ZheRui, etc. 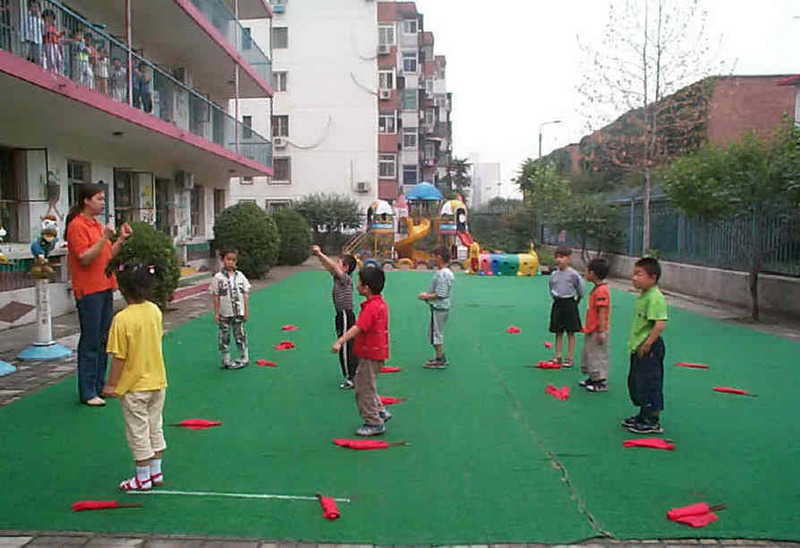 supervised by Teacher Fan to practice flag exercises at Beijing YuLong Kindergarten. 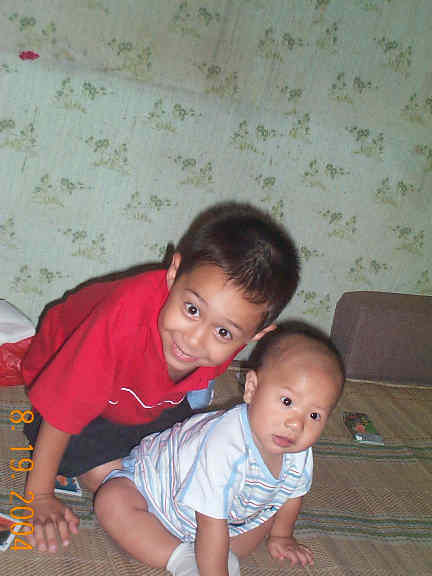 Roy, Duck, Duck's Mom, Sun XinYuan, Yang ZheRui, etc. 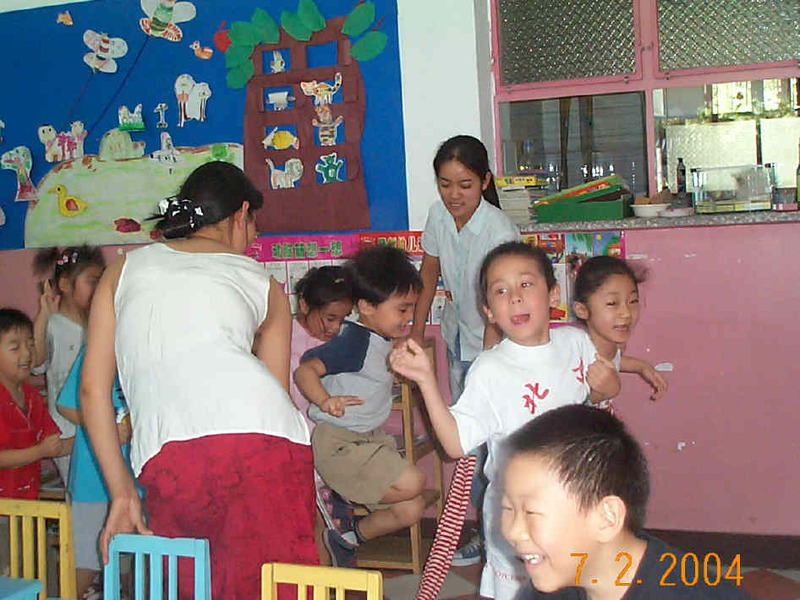 celebrated Duck's birthday at Beijing YuLong Kindergarten on July 2. Roy, Duck, Duck's Mom, Sun XinYuan, Yang ZheRui, PiPi, Liu YiYi, Yang MuHan, Teacher Wang, etc. 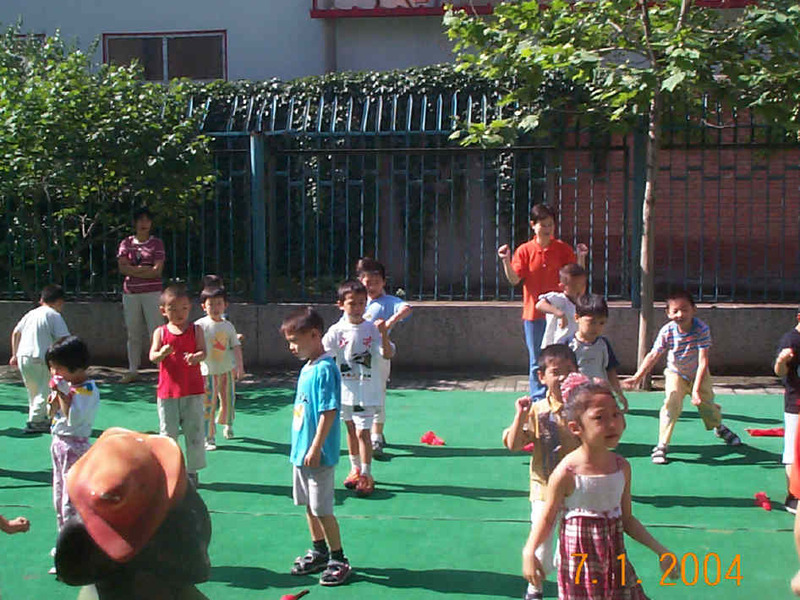 celebrated Duck's birthday at Beijing YuLong Kindergarten on July 2. Roy, Duck, Duck's Mom, Duck's Aunt, Teacher Bian, etc. 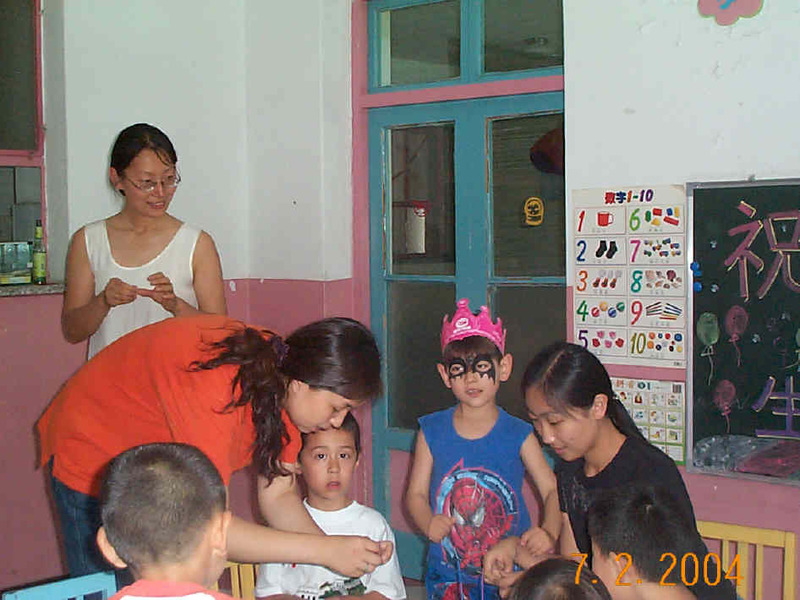 celebrated Duck's birthday at Beijing YuLong Kindergarten on July 2. 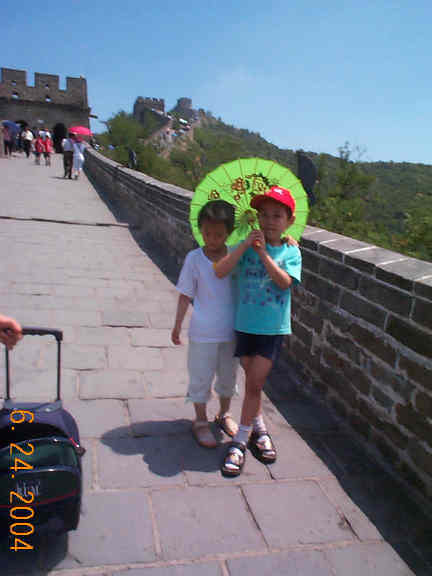 Roy and his Chinese friend WaWa at Beijing BeiHai Park. 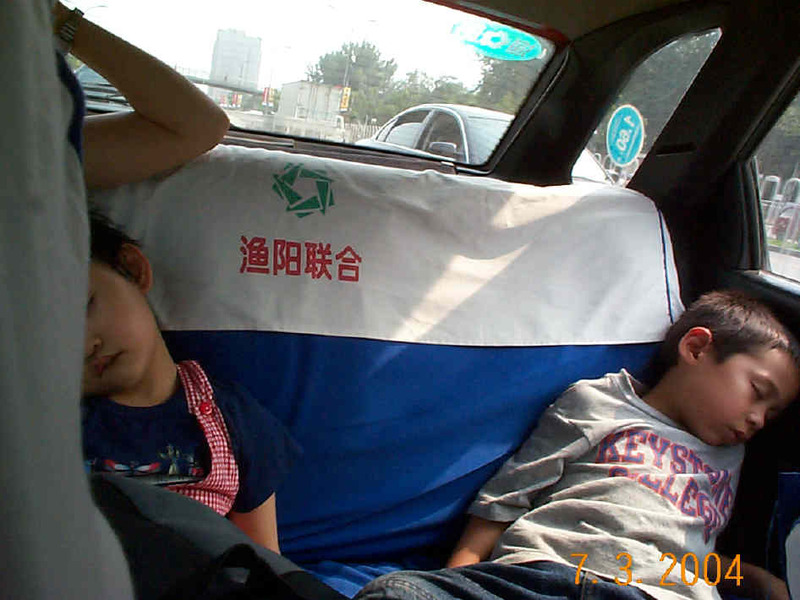 Roy and WaWa slept in the Beijing taxi. 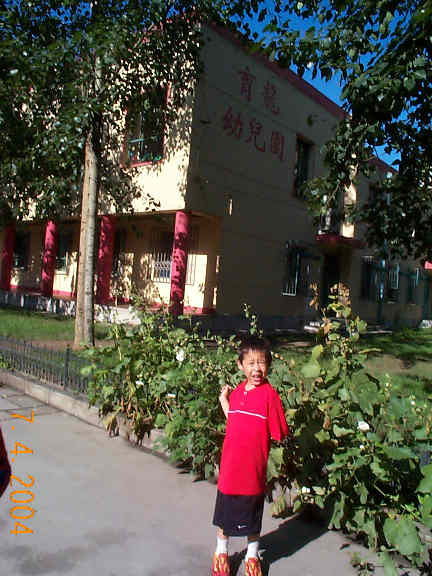 Roy at the outside of Beijing YuLong Kindergarten on July 4. Roy at Beijing Forestry University on July 27. 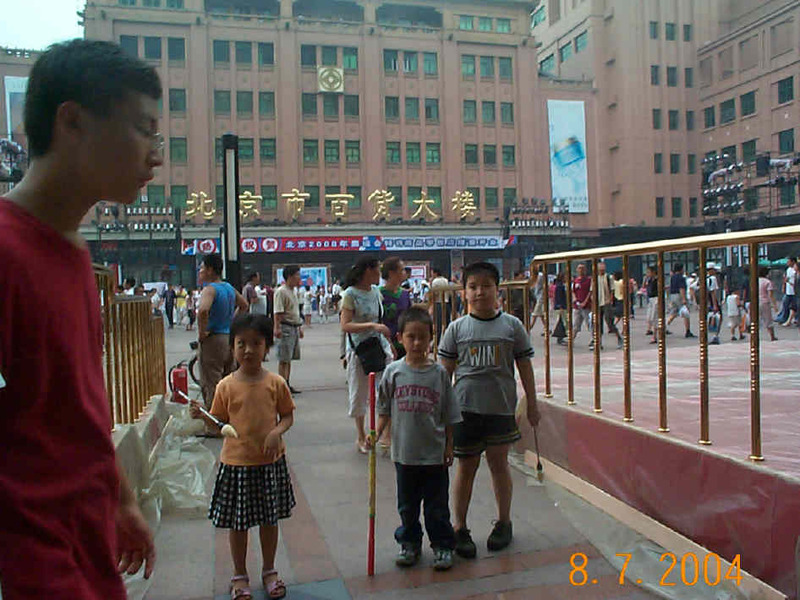 Roy with his Chinese friends, Heaven and JunKai outside Beijing Department Store in WangFuJing Shopping District. 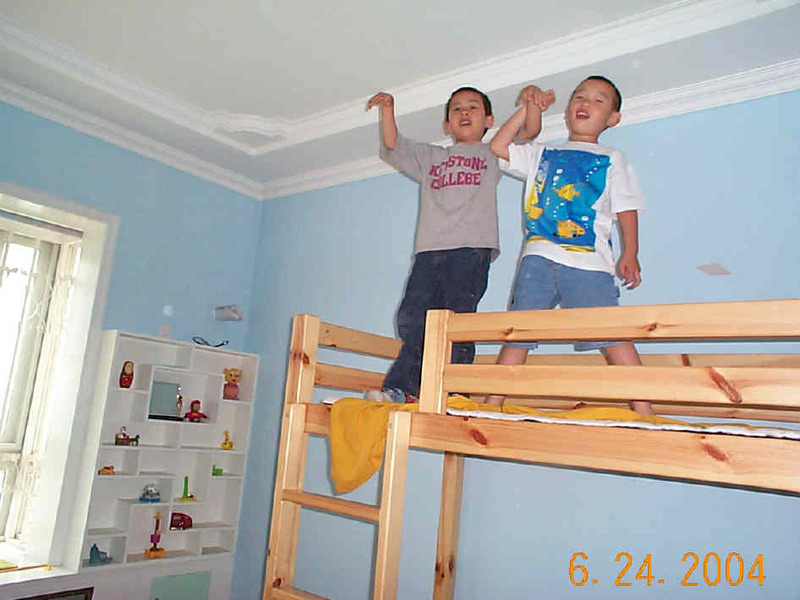 Roy and Zhou WeiHeng (classmate at Beijing YuLong Kindergarten) at WeiHeng's home in Beijing. Roy and Zhou WeiHeng at a Chinese restaurant in Beijing. 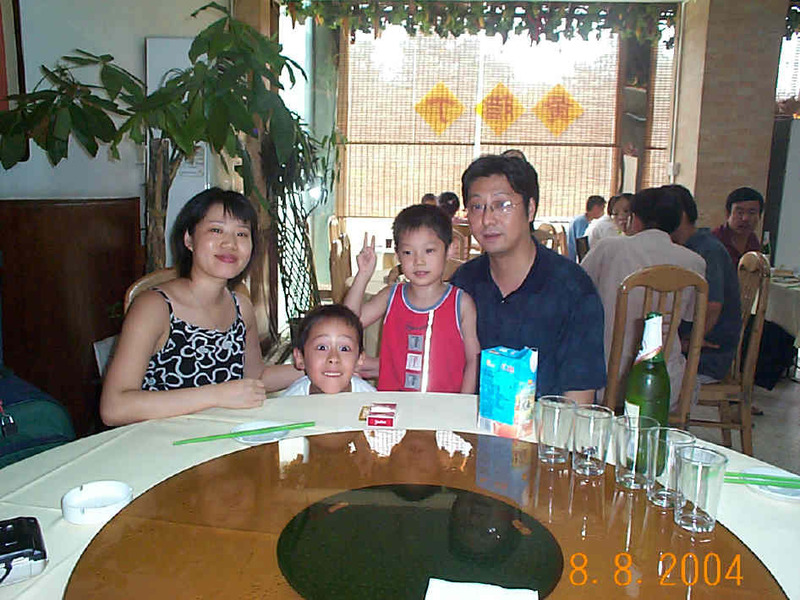 Roy, Zhou WeiHeng and WeiHeng's parents at a restaurant in Beijing. 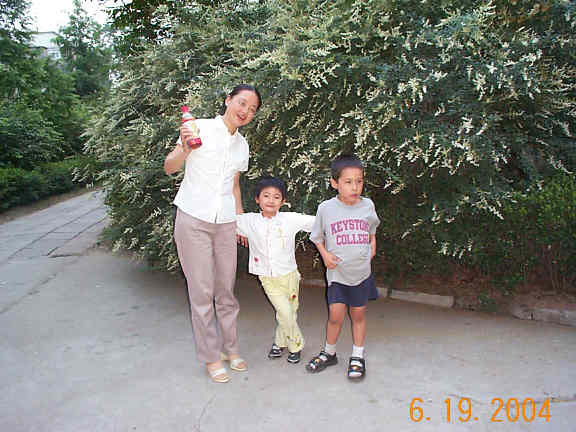 Roy and YingHan (classmate at Beijing YuLong Kindergarten), ShiHan (YingHan's brother), YingHan's mom-Professor Kim from South Korea, YingHan's NaiNai outside the apartment of YingHan's home in Beijing. 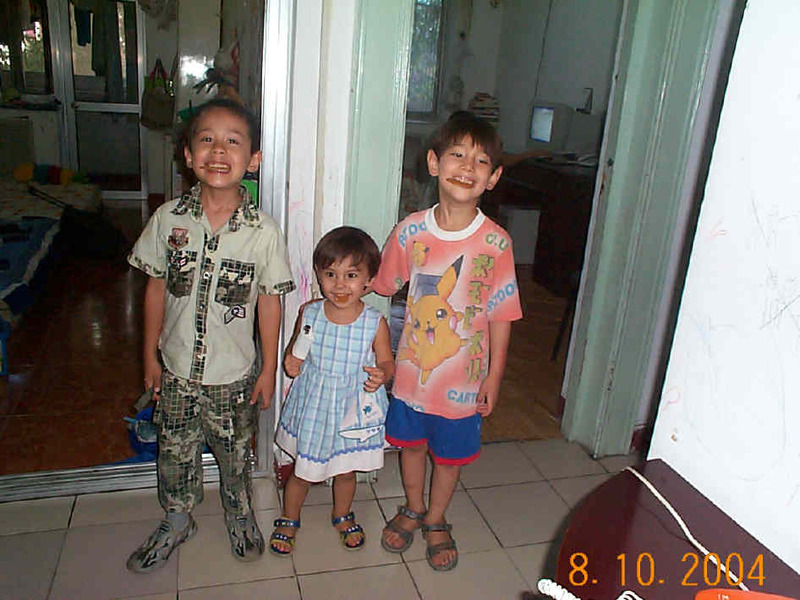 Roy, Duck (classmate at Beijing YuLong Kindergarten) and Penny (Duck's sister) at Duck's home in Beijing. 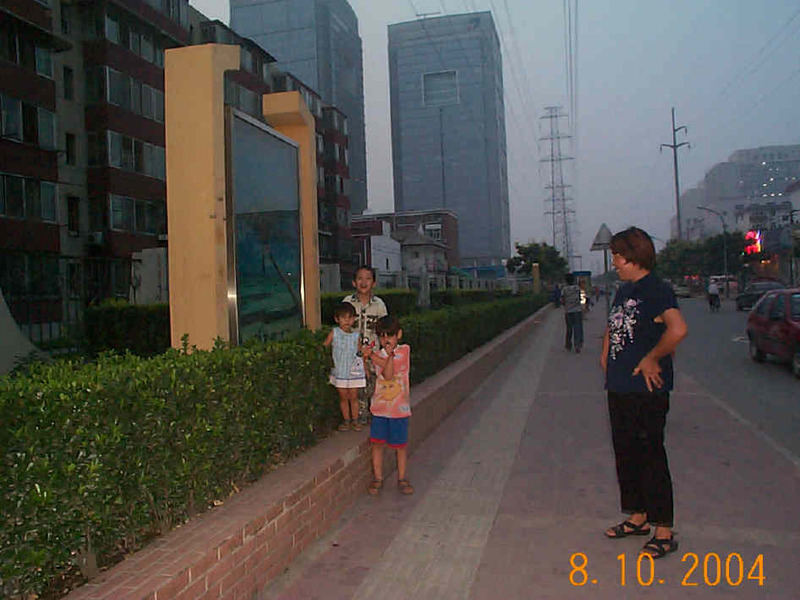 Roy, Duck, Penny and Duck's Grandma on their way to the American movie-Spiderman in Beijing. 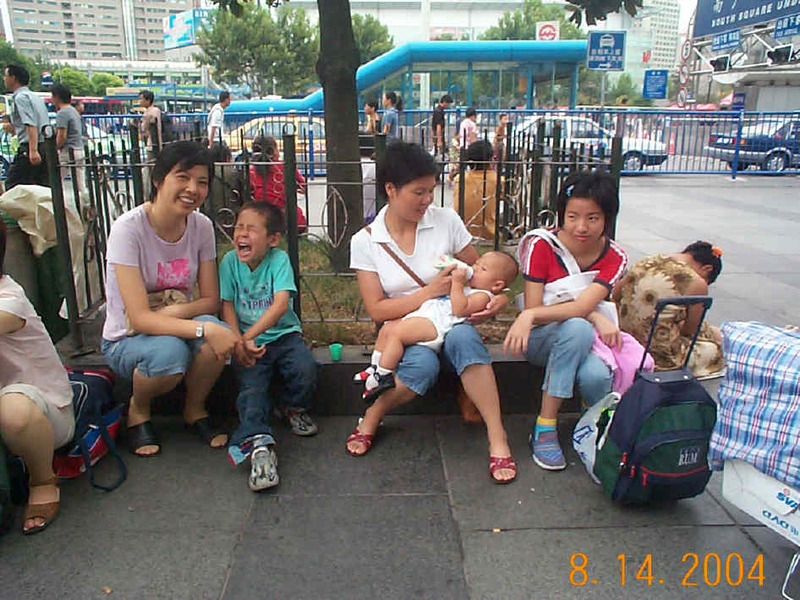 Roy, Xiao Fan (my sisiter in law), Chen Mei (my sister in law), You ZhengYang (my nephew, the baby), You JingYa (my neice) outside the train station in Shanghai. 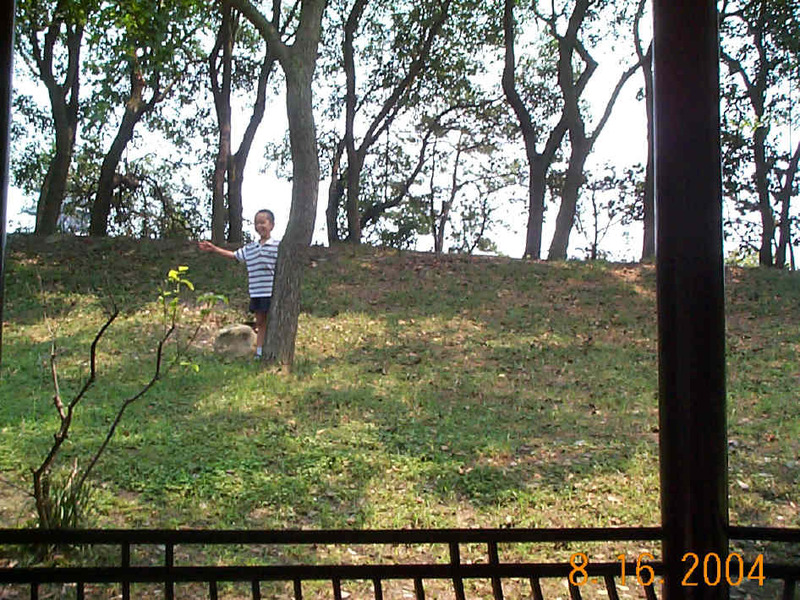 Roy in a park in shanghai. 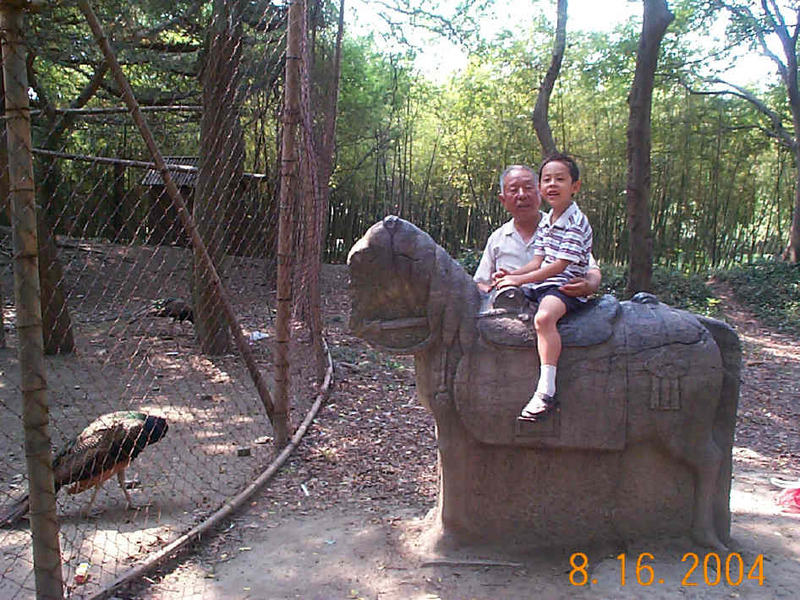 Roy and Grandpa in a park in Shanghai. 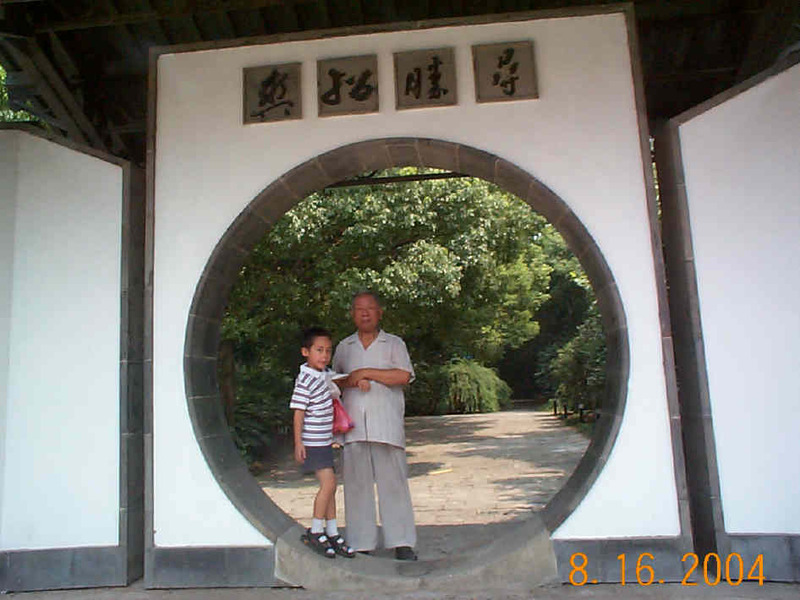 Roy and Grandpa in FangTa Park in Shanghai. 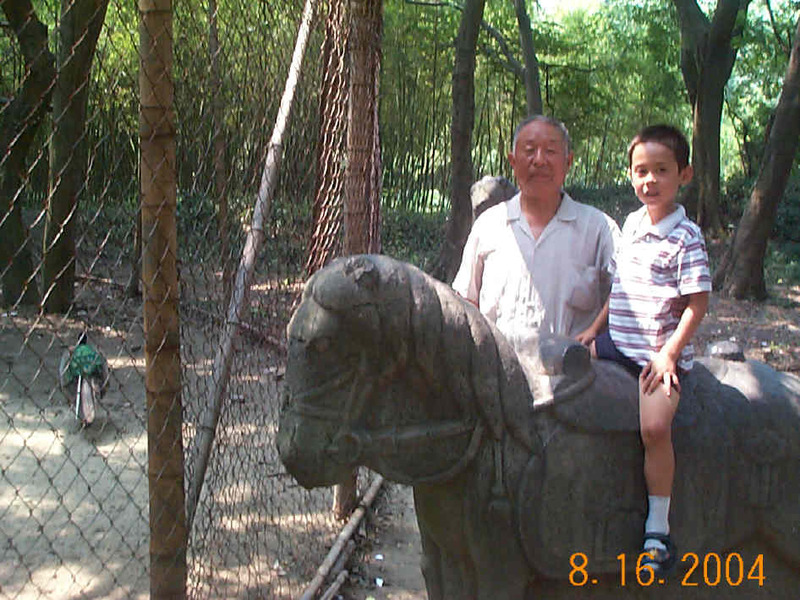 Roy and Grandpa in a park in Shanghai on August 16. 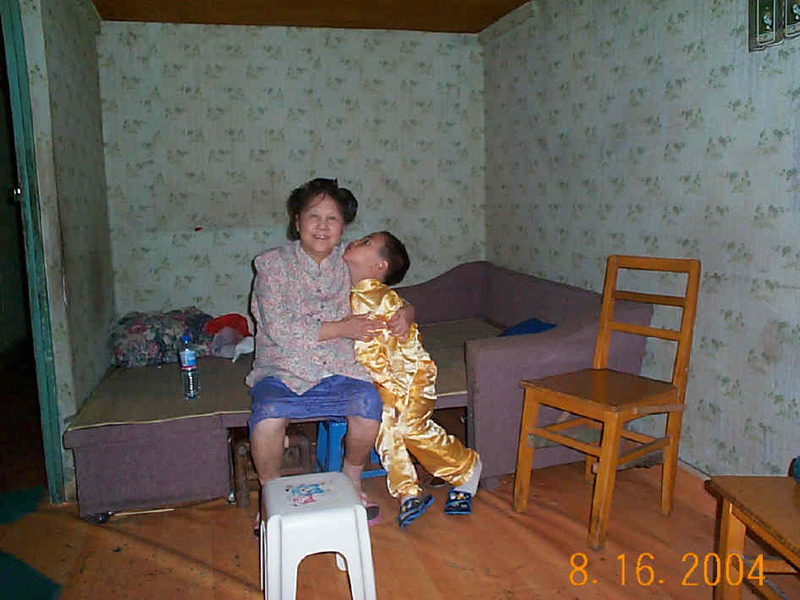 Roy and Grandma at my parents' home in Shanghai on August 16. 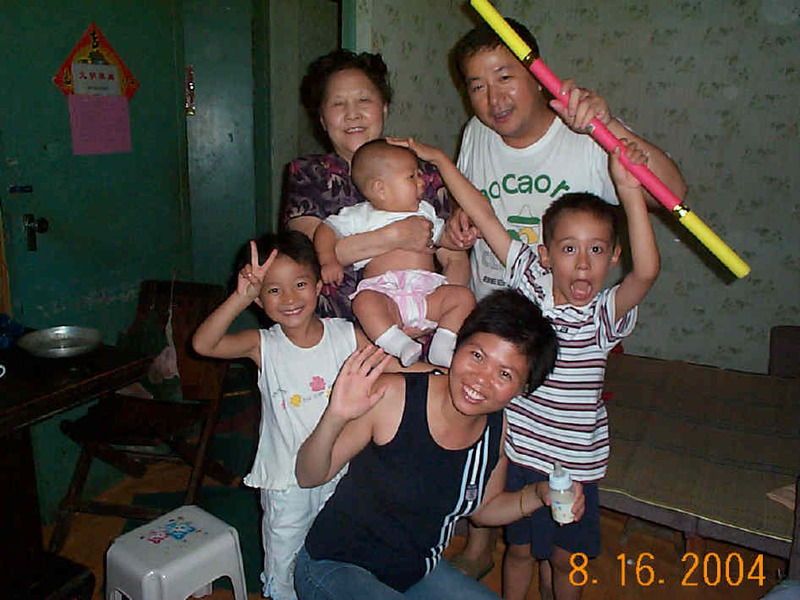 Roy, You Yong (my brother), my mother, Zhengyang (the baby, Yong's son), Chen Mei (Yong's wife) and YiYi (Chen's daughter) at my parents' home in Shanghai. 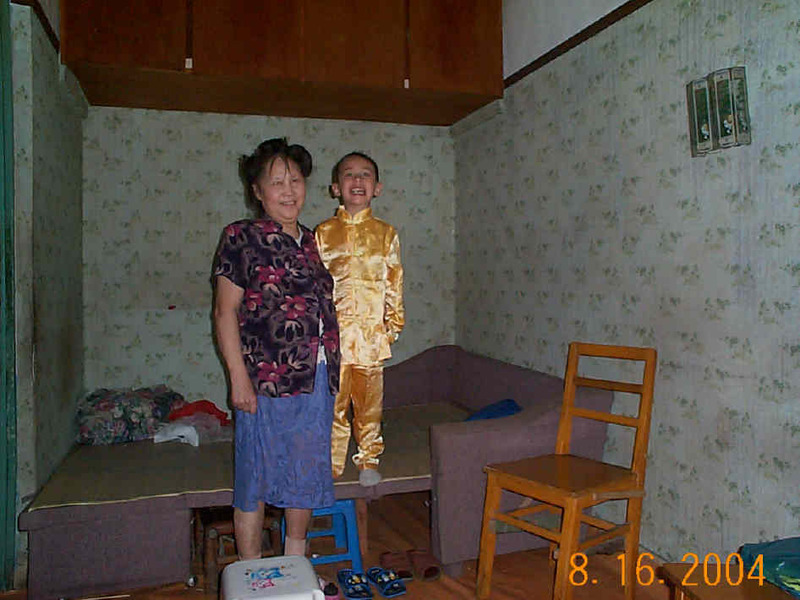 Roy with his Granma at my parents' home in Shanghai. 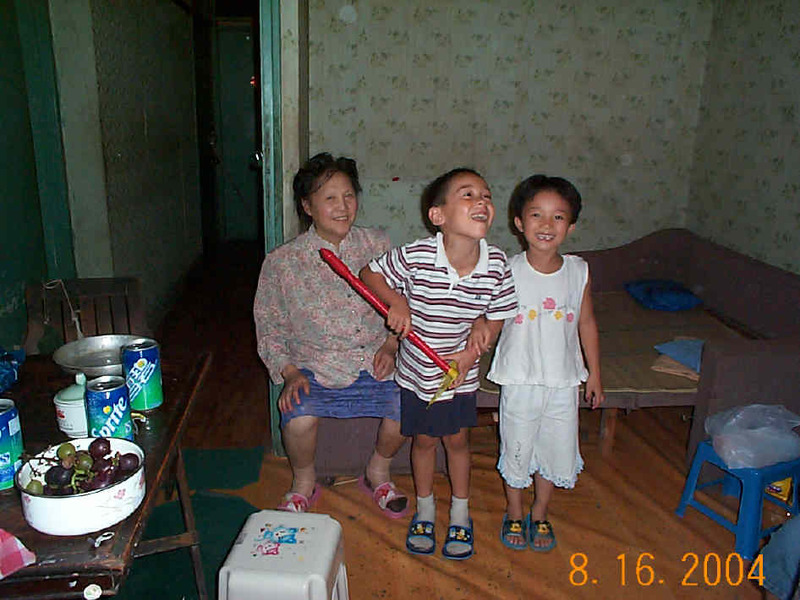 Roy, Grandma and YiYi at my parents' home in shanghai. 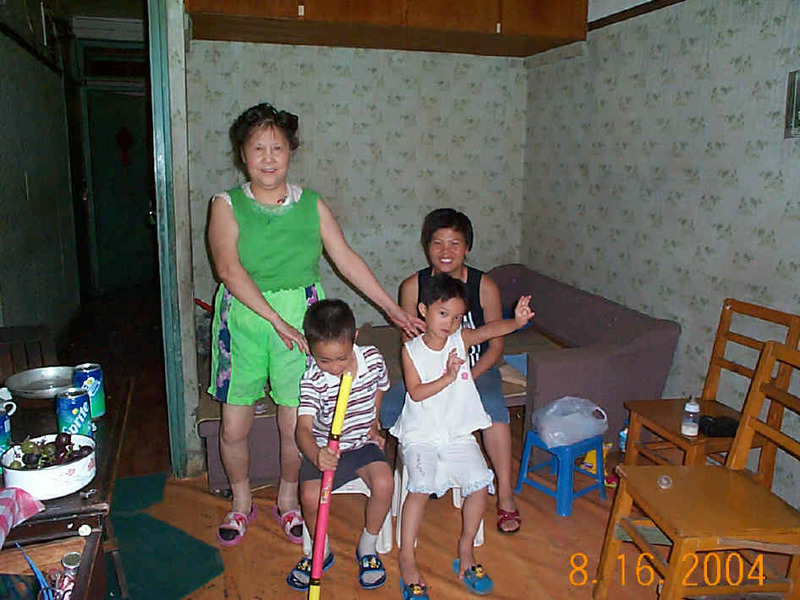 Roy, my mother, YiYi and Chen Mei at my parents' home in Shanghai. 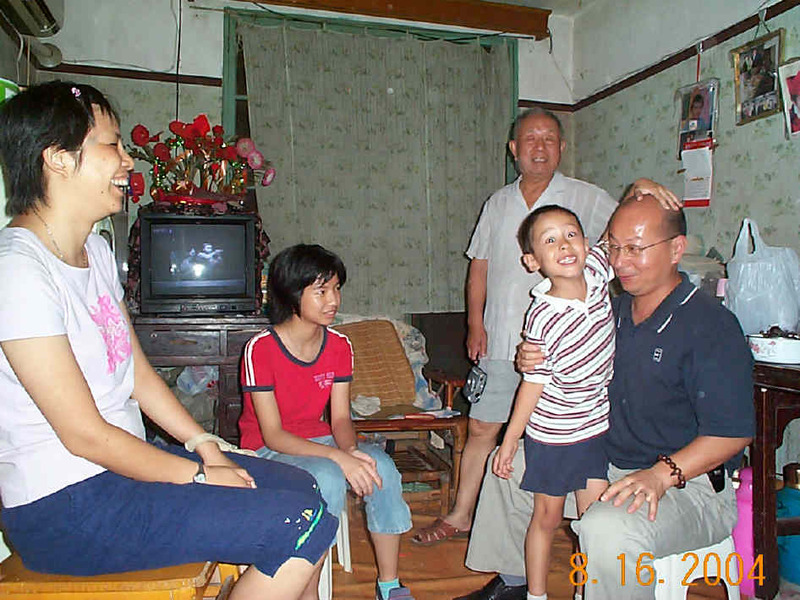 Roy, my father, YouYi (my brother), Xiao Fan and You JingYa at my parents' home in Shanghai. 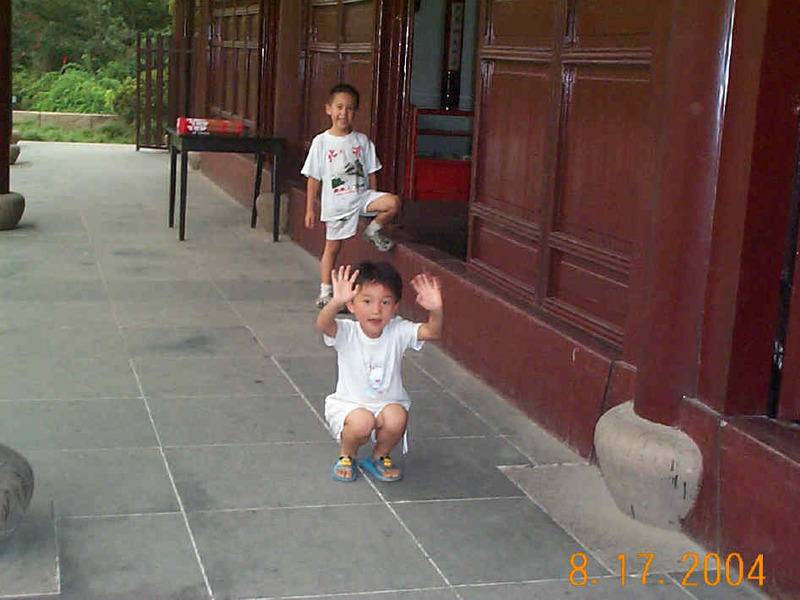 Roy and YiYi at my parents' home in Shanghai. 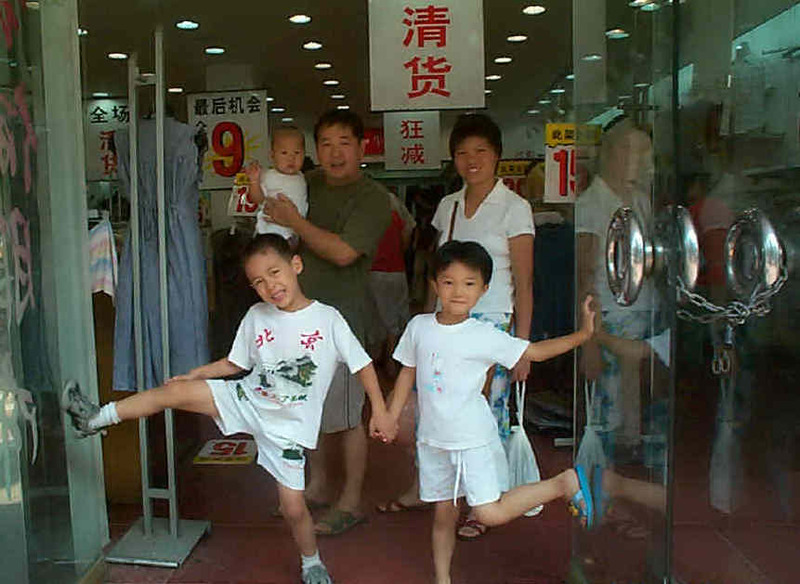 Roy, You Yong (my brother), You ZhengYang, Chen Mei and YiYi at a store in Shanghai on August 17. 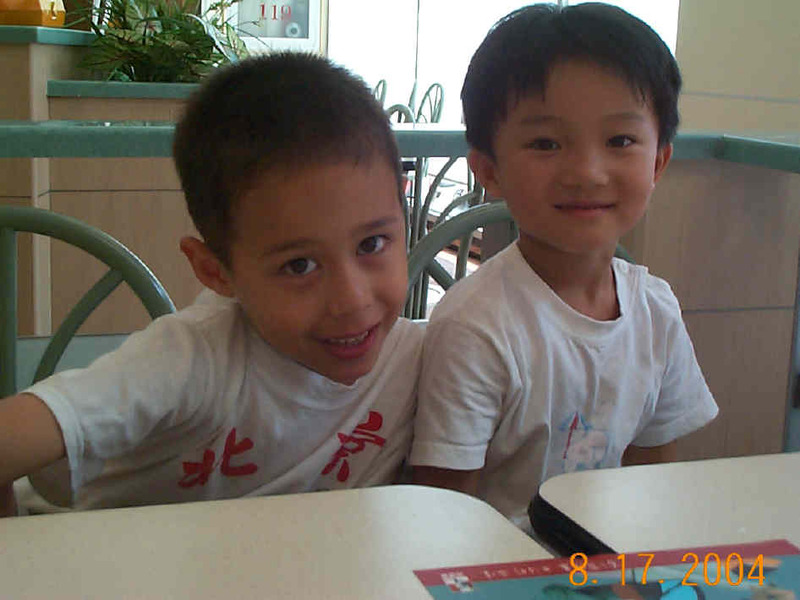 Roy and YiYi at a Kentucky Fried Chicken restaurant in Shanghai. 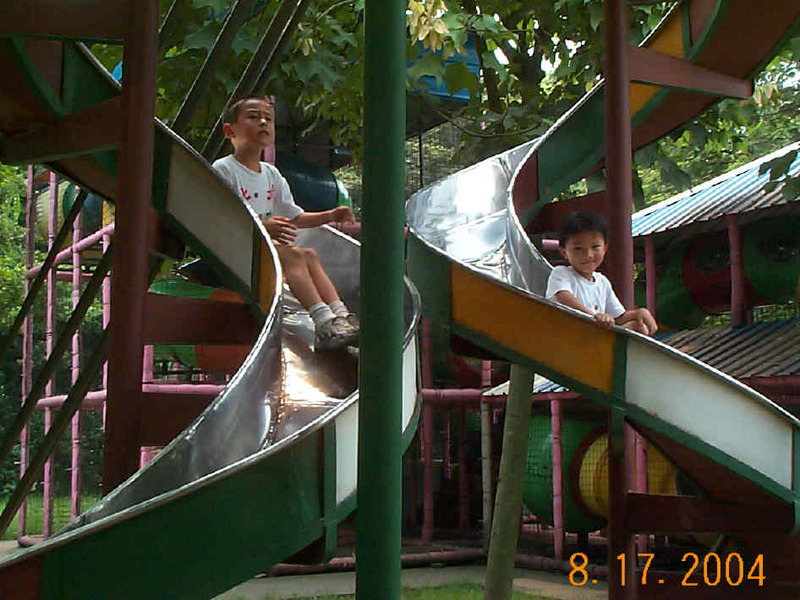 Roy and YiYi at a Children's park in Shanghai. 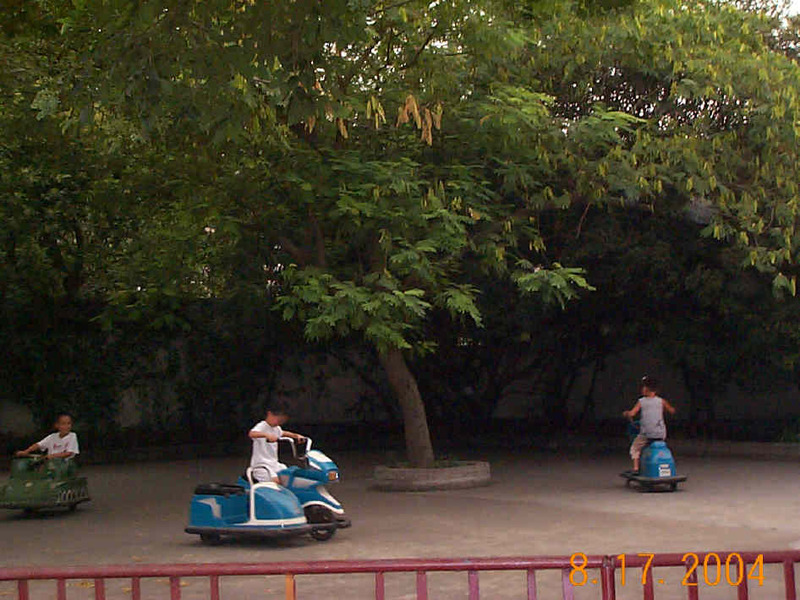 Roy and YiYi at a Children's park in Shanghai on August 17. 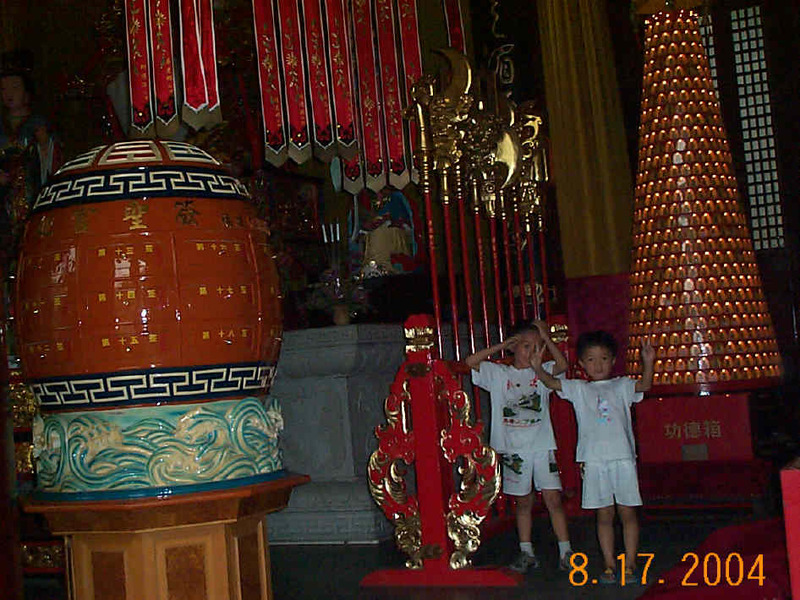 Roy and YiYi at FangTa Park in Shanghai on August 17. 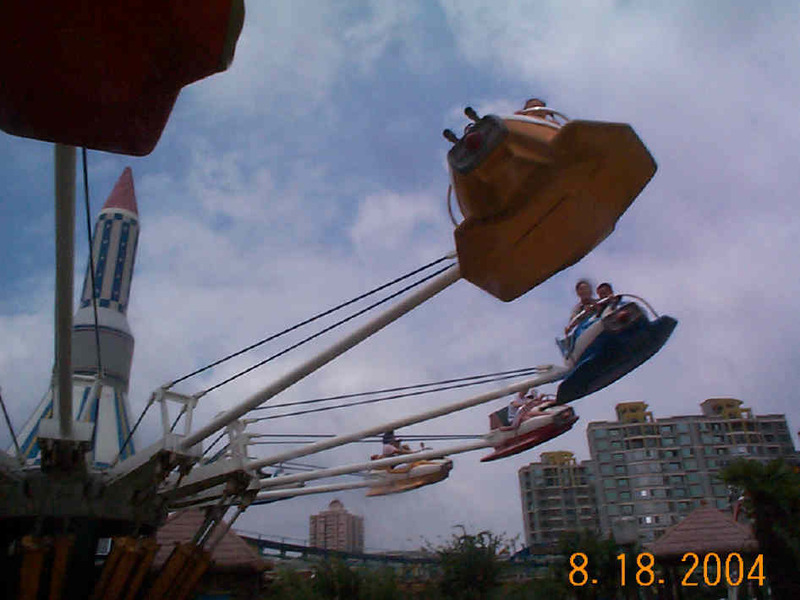 Roy and JiaJia (my student's daughter) at JingJiang Amusement Park, Shanghai, August 18, 2004. 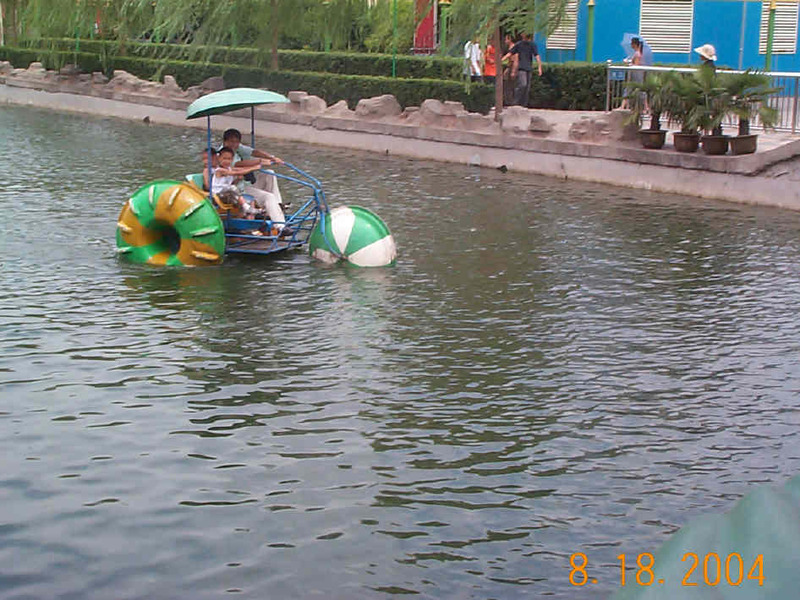 Roy and JiaJia and Xiao Yuan (my student, JiaJia's father)at JingJiang Amusement Park in Shanghai on August 18, 2004. 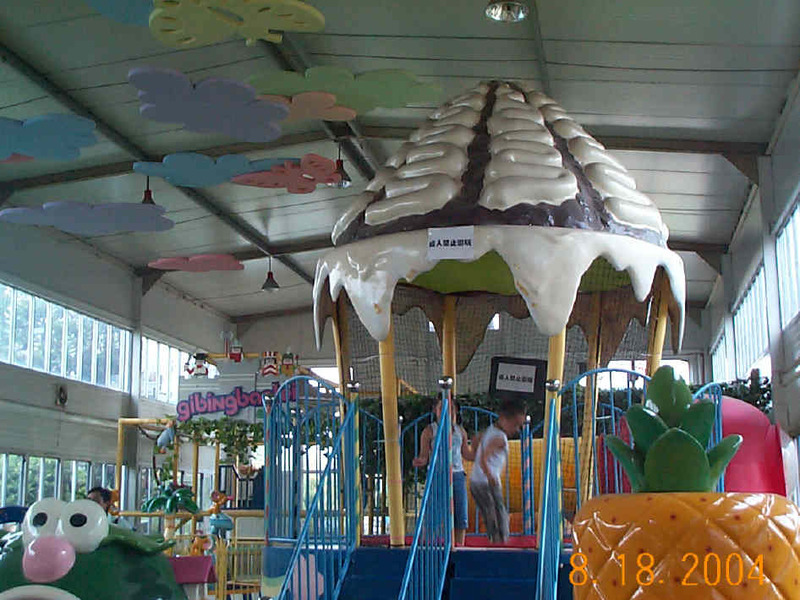 At JingJiang amusement park in Shanghai. 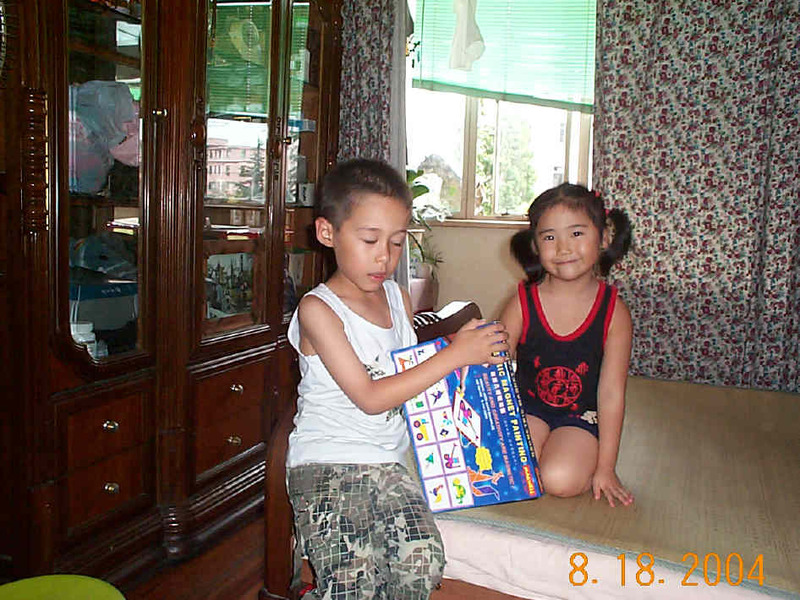 Roy and Zhou Yi(Uncle Zhou's Granddaughter) at Uncle Zhou's apartment in Shanghai on August 18, 2004. 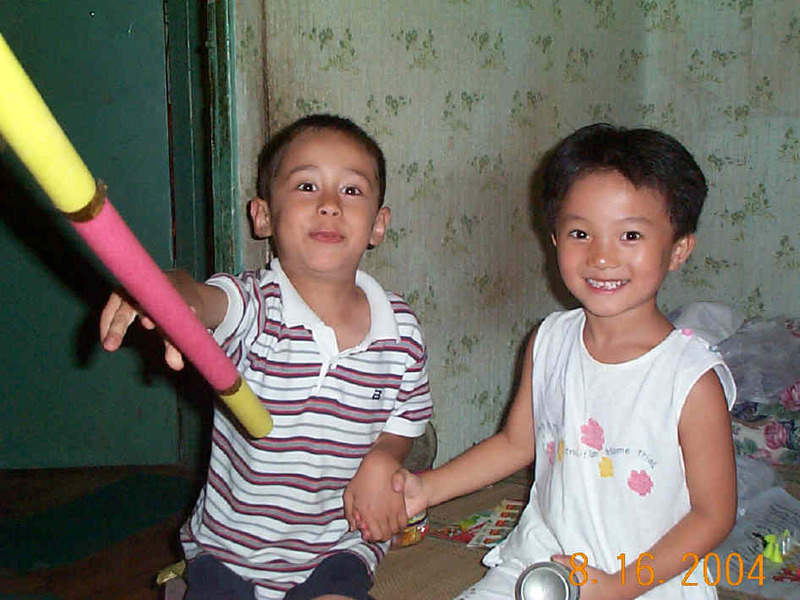 Roy and You Yi (my brother) at my parents' home in Shanghai. 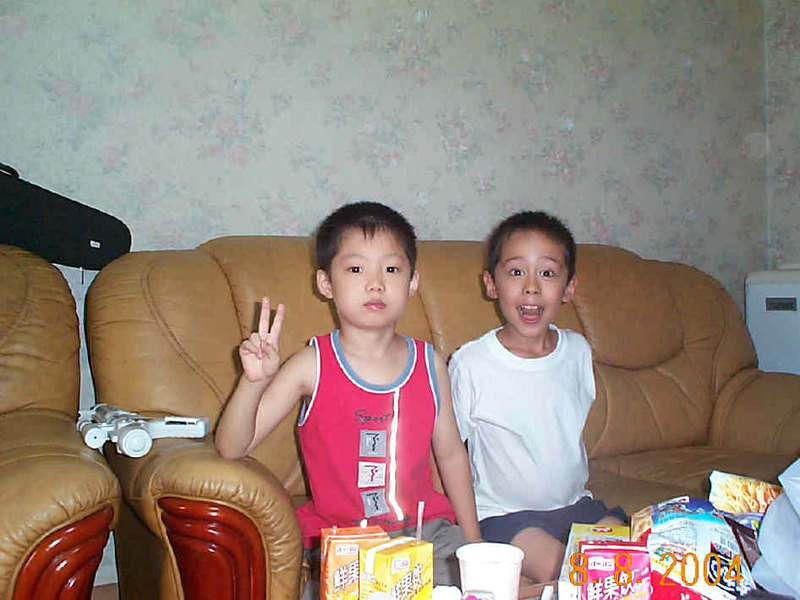 Roy and his cousin, You ZhengYang. 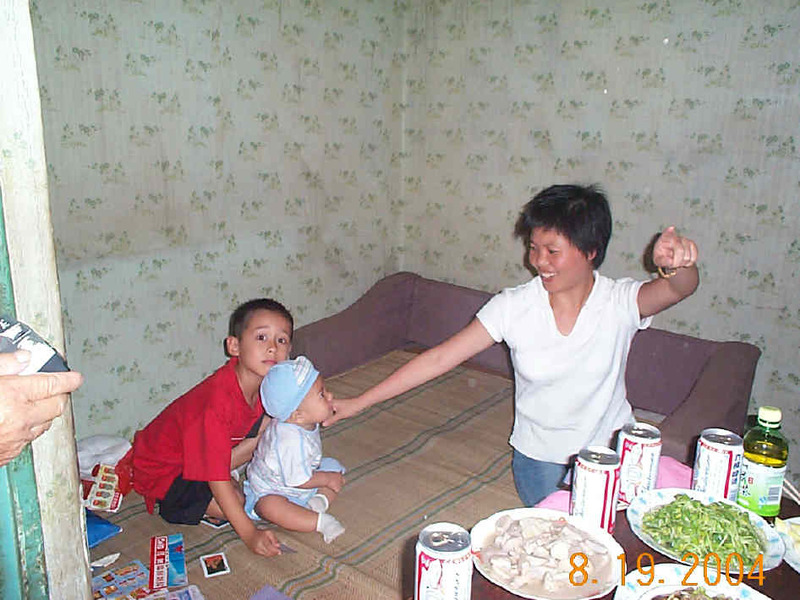 Roy, Chen Mei and You ZhengYang. 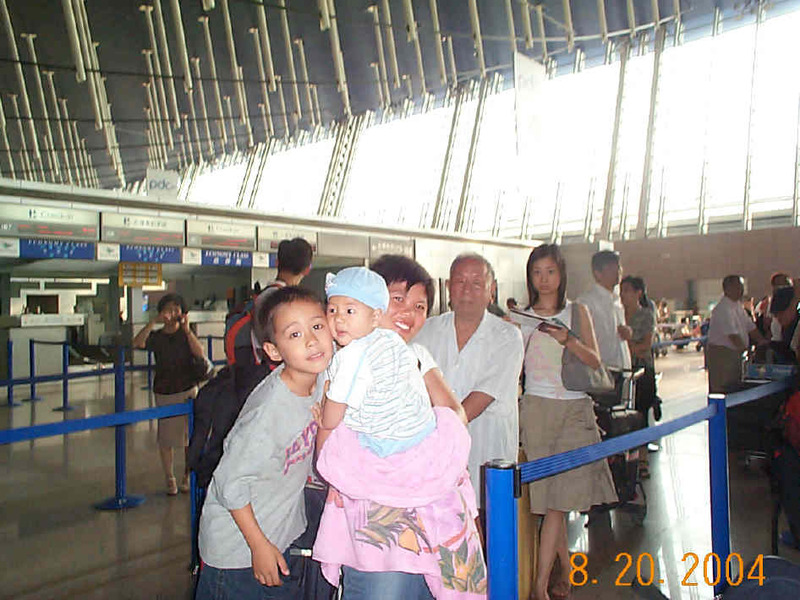 Roy, You ZhengYang (my baby nephew), Xiao Chen and my father at Shanghai PuDong International Airport. 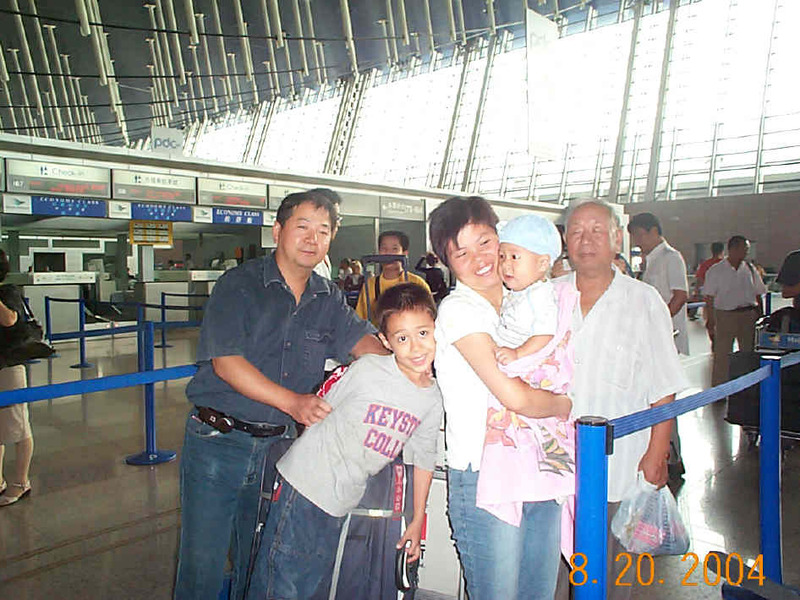 Roy, You Yong, Chen Mei, You ZhengYang and my father at Shanghai PuDong International Airport. You may click Welcome! 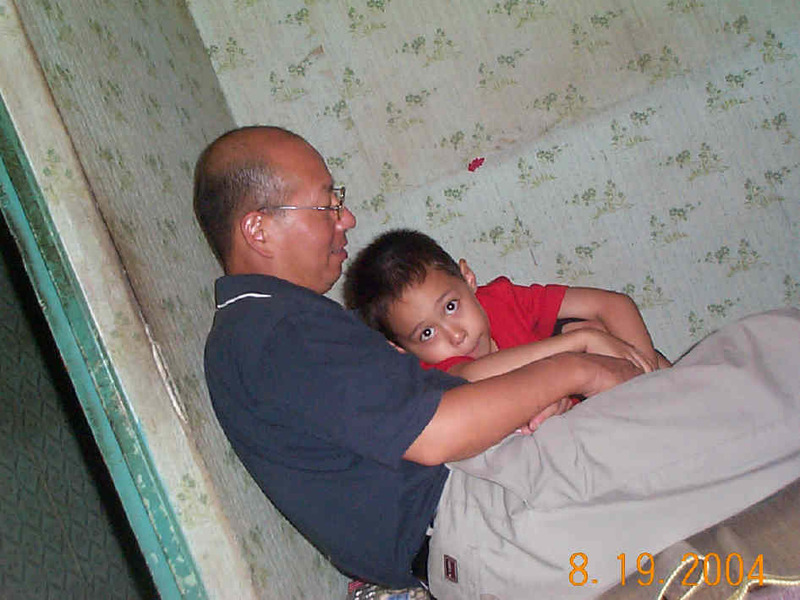 to return to my home page. This page was originally posted: 9/16/00; 2:08:47 PM.